It time to go big! Sixty-seven teachers joined us on January 18-19 for the first two days of their six-day BPS BlendED Professional Learning training. It was so fun to feel their excitement as they began this incredible learning journey. They are thrilled to be the next 1:1 iPad classrooms in the district and eager to transform their classrooms. They will return in March for days 3-4 of the training and again in early April for days 5-6. At the end of the training, the new Apple Teachers will receive their class sets of iPads, a 55” TV/DVD cart, and an Apple TV! As they return to their classrooms, they begin their on-the-job training with their blended learning coach as they continue to learn and implement new workflows. The following week, we wrapped up our final two day refresher training for our last group of teachers who have been patiently waiting to be 1:1 classrooms. Twenty-four teachers were raring to go as they began their 1:1 iPad Blended Learning classroom adventure January 29th. By providing teachers with the BPS BlendED Professional Learning, followed by on-the-job training, and continued collaboration, we are setting up both our teachers and students for success! 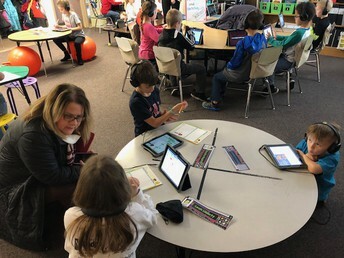 It has been a tremendous joy to watch first hand as this new culture of learning emerges full of choice, engagement, and creation in our iPad Academy classrooms. Schoology has once again stepped out as the frontrunner in how teacher can now assess students. 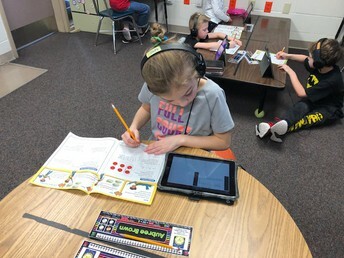 Recently, they released a new “Assessments” feature that will allow students to be more engaged with their assessments. They have done this by adding 15 new question types including; image highlighting, text highlighting, hotspots, math formulas, and drag and drop questions. The workflow for teachers, to build out engaging and interactive assessments, has also improved with the new feature. 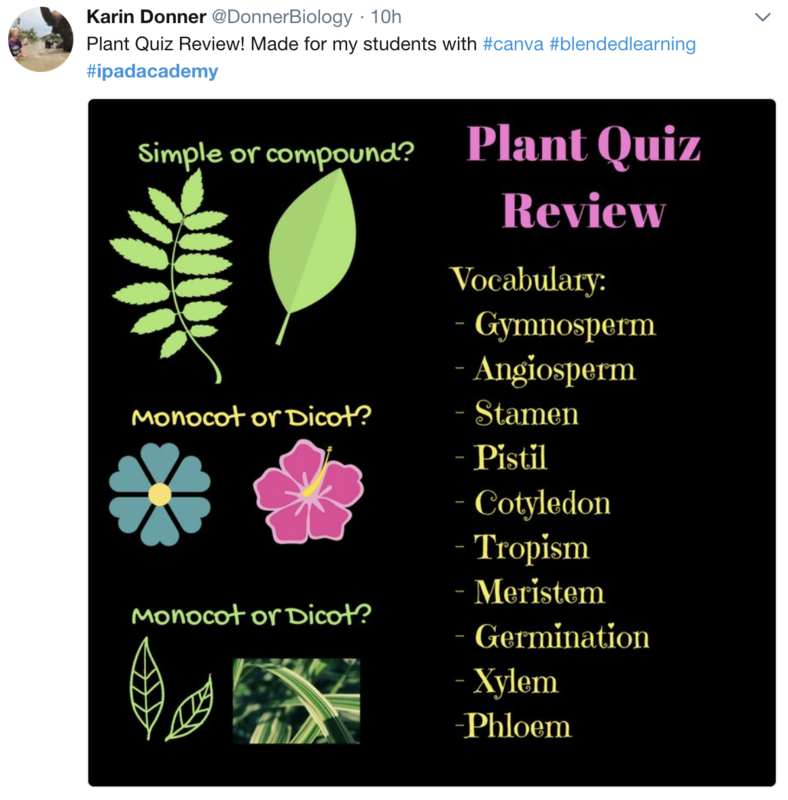 These can be used for assessments and checks for understanding, because remember assessments in Schoology don’t have to be graded. Many of these features are only available in Schoology and we are excited that our teachers can use them. To access the new Assessments click on Add Material and you will see Add Assessments below Add Test/Quiz. Watch the video below to see a sneak peak at the new question types and click here to learn more about each type. 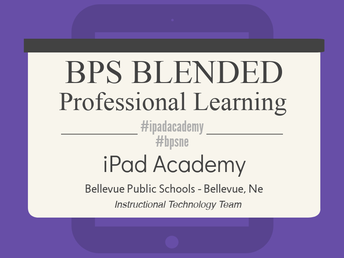 Bellevue Public Schools hosted the Apple event, Transforming Learning through Professional Learning, on February 6th at the Support Center with 35 educators from around the state. Following the morning session we showcased our teachers and students by taking the guests on a visit to several #ipadacademy classrooms. They were able to see first-hand the innovation in teaching and learning happening in our 1:1 iPad blended learning classrooms. We also had guests visiting our iPad Academy on January 17th from four different school districts: Crofton, Columbus, Lincoln Diocese, Omaha Public Schools, Clarinda, Wahoo and the Educational Service Unit Coordinating Council. 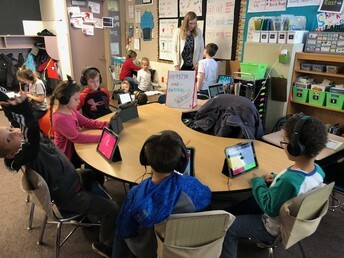 They were in awe seeing blended learning strategies to create classrooms full of choice and creation and to see how you were using formative data during class to impact instructio. 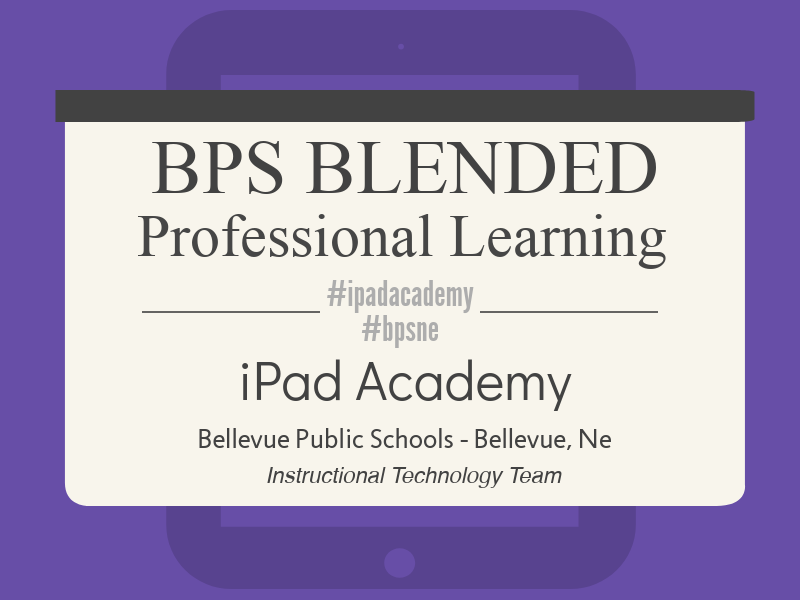 It is one thing to read about blended learning and another to experience it. They were so grateful for the opportunity to visit with our teachers and thankful for the time in the classrooms. A big thank you to all the teachers who opened their rooms up for all of these visitors. 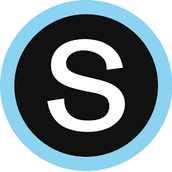 Schoology creates a calendar for every course and group. Your Schoology account also has a personal calendar. This personal calendar allows you to see every class and group in which you are a member. You can create events in your personal calendar and the classes and groups in which you are an administrator. When you log into Schoology you see your home screen, showing either your Recent Activity or the Course Dashboard (based upon your account settings). From your home screen, click on Calendar in the left menu bar. The default setting is to view ‘All Calendars’ which includes all courses and groups. You can select which calendars you prefer to use by selecting them from the ‘All Calendar’ pull down menu. Within a course or group, the calendar is the small icon at the top right side of the screen. Click it to open the calendar. Creating events is done the same way as above. Upcoming events are listed beneath the icon link. Note: If you are not an administrator within a course/group, you may not create an event in a course or group. To create an event simply click on the date, fill in the information in pop-up window, and selecting ‘Create.’ In the next window select the classes or groups for the event. Click the ‘Create’ button after making your selections and you are finished! NOTE: Schoology provides a way to load your Google calendar to your Schoology calendar, however, once loaded, it does not automatically update when changes are made to your Google calendar. If you’ve ever created a Google Doc and wanted students to complete it individually (each student having their own copy), this tip shows you how to modify the link so each student has their own copy of your doc. Copy the link to your document by clicking on the blue Share Button. Then click either the ‘Get Shareable Link’ or ‘Copy Link’ buttons. Paste the link into the location you will share it. After pasting the link, change the last part of the link to the word ‘copy’. 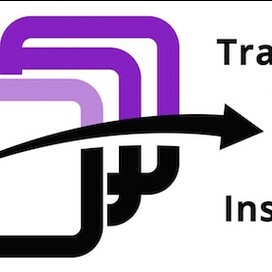 When the new link is clicked, it will create a copy for all students to use. Note: The settings should be set to ‘can edit’. Please contact your BTC or the Tech Team if you have any questions! Use Twitter to connect with others from near and far! 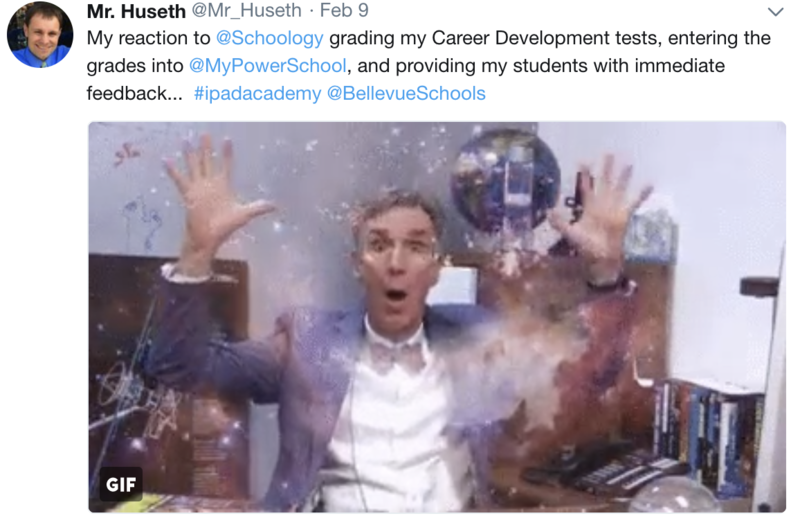 If you are someone who is already tweeting, remember to tag your tweets with #bpsne so more teachers can see what is happening in your classroom. Sharing is the name of the game! Remember there are lots of great chats to explore to connect with others in your content area. Just pull up the hashtag and enjoy the conversation. One of the most powerful parts of Twitter is the hashtag! It connects people, ideas, and creates communities within Twitter. 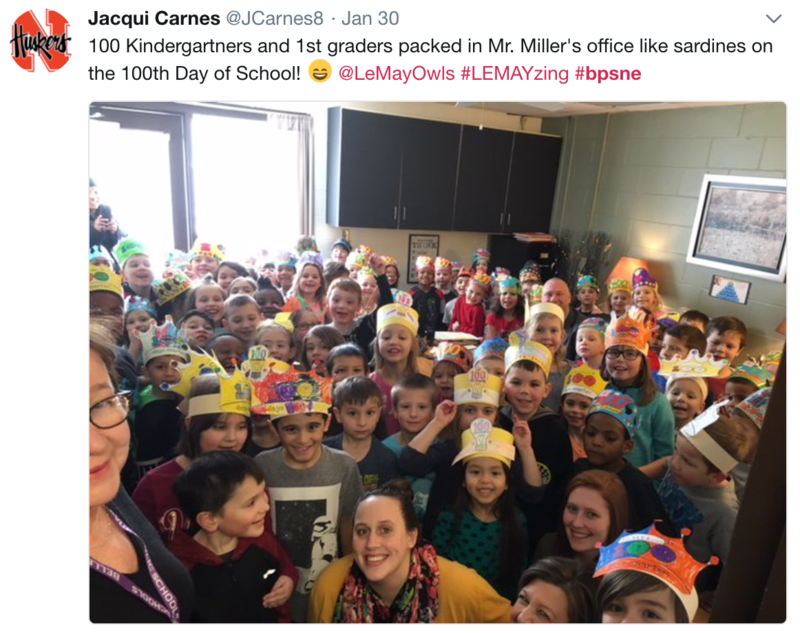 It is a unique way for our teachers and administrators to share the amazing things happening in our schools, classrooms, clubs, teams and organizations. 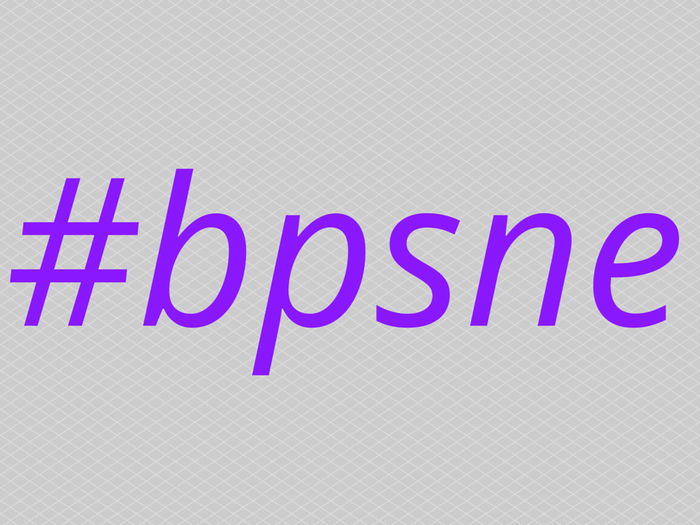 Our district hashtag, #bpsne, continues to grow and is becoming a powerful tool that we can leverage as a district to connect all of our teachers, students, parents, and community members. We encourage you to continue sharing the great things happening in your classrooms. Here is a list of all of the Bellevue Public School educators on Twitter. 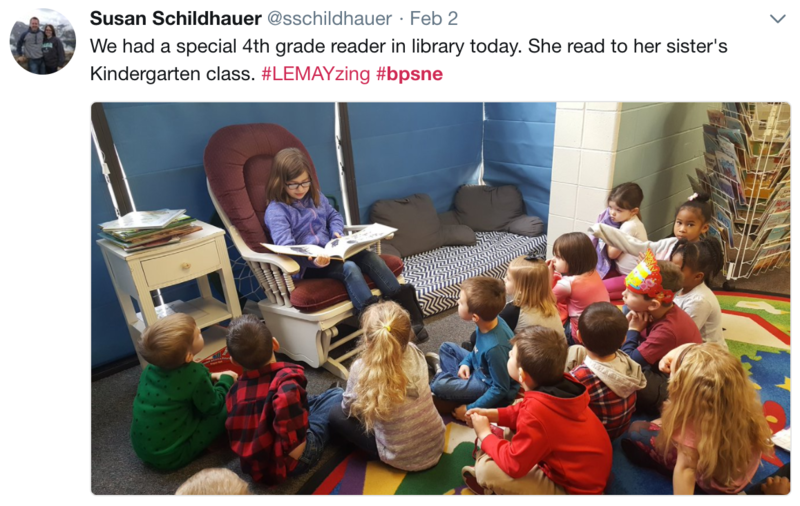 Let's create the 2016-2017 Bellevue Public Schools story together! The Technology Team's blog has moved to a new location! Why is this important? Many of you subscribed to our old blog and will now need to subscribe to our new one. If you haven’t subscribed to our blog make sure to click on the link below and click FOLLOW on the right side of the page. 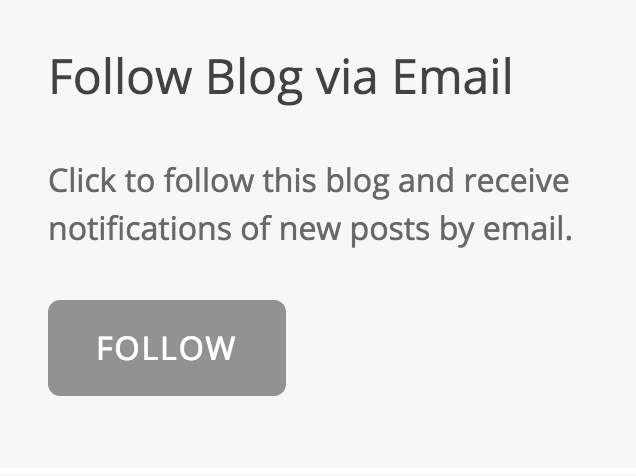 This will send our new blog posts directly to your email to keep you up on all the things happening with technology in Bellevue Public Schools. Click here to access our Technology Tools for Teaching blog!